A person could be making a huge mistake if they go ahead and put up a structure without first looking at the options that prefabricated steel buildings can provide. Prefabricated steel buildings, like metal sheds and carports, are extremely strong, and can be used for a wide variety of purposes. Some of the benefits of metal building kits like these might surprise certain people who have never seen one of these modern marvels for themselves. Prefabricated steel buildings could be the ideal choice for the environmentally conscious. Recycling steel can save an amazing 75 percent of the energy that is normally used to create steel from raw materials. That is enough to power an astounding 18 million homes. Saving that kind of energy is not only good for businesses, but it also is good for the consumer, which will see it in the more affordable price tag. The less energy goes into making something, they less a company will have to charge for it. 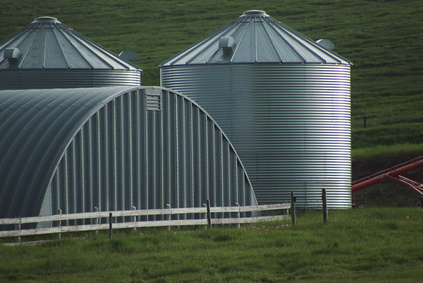 Certain prefabricated steel buildings can be used to help shield ones personal belongings from harm. Carport kits could be an ideal solution for those that live in areas that are prone to large storms. After the tornado that hit Joplin, MO in 2011, approximately $1.4 billion in insurance claims were reported. These kind of claims could have been substantially reduced if people had been able to place their cars in a steel structure. Prefabricated steel buildings could also guard against hail damage, which could be a great thing, since 50 to 70 percent of damage claims to automobiles from hail are not repaired. Finally, prefabricated steel buildings could also be used to protect the family boat! Wind, hair and other things could easily cause damage to a boat. Another thing that could ruin the finish of a boat is UV damage. One of the most common and troublesome concerns for a boat owner, this kind of damage can be prevented by using a steel cover or boat shed, many of which are available from companies that specialize in prefabricated steel buildings.